Top 10 Best Beard Trimmers: Every style conscious man knows that a well-groomed and sculpted beard accentuates appearance and makes you look good. Most grooming pros recommend that facial hair should trimmed and styled at least twice a week. Therefore, having the right beard trimming equipment in your bathroom cabinet is not only essential but also handy, especially when you are running late for work but really need to look good for your date later that night. However, there’s one question that’s always there in the back of our minds. Do we really need a beard trimmer? I mean a pair of scissors can also be used to tame that mane, right? To get rid of spilt ends: Split ends slow down growth and make the beard look untidy and unkempt. To save time: Taming your facial mane regularly is time taking as it is. If you take on this task armed with just a pair of scissors, the time that you will need to invest is unimaginable. Convenient and Easy to use: Scissors require a lot of precision and may take some time to master. To give proper shape and style to your mane: Styling and shaping your beard is much easier with trimmers as compared to scissors. To fight against skin conditions: Long facial hair makes your face more vulnerable to skin problems like acne and flaky skin. Keeping your facial hair groomed and well-trimmed will help you get rid of these problems. Brand: Don’t just pick any brand off the street. Look for a quality brand since motor power and trustworthiness is important for a clean and consistent cut. Beard length you desire: Before purchasing a beard trimmer, decide upon the beard length you desire. 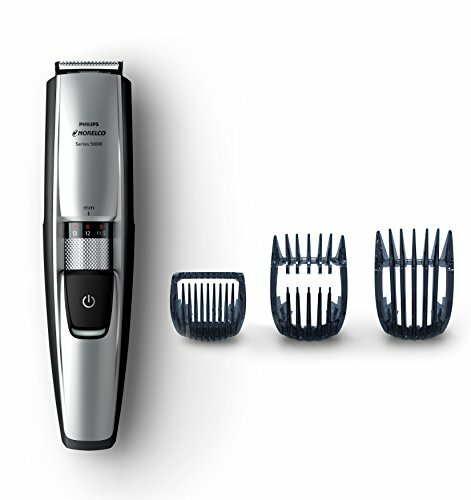 Trimmers come with different settings and attachments for different beard lengths and styles. Rechargeable or corded: Corded trimmers work on direct electricity supply and hence offer more power. Rechargeable ones are battery operated and handier to use especially while travelling. Blade Quality: Beard trimmers come with multiple blade options. Chromium, stainless steel, and titanium blades are much more durable and comfortable-to-use than other types of blades. Many beard trimmers come with dual-edged blades that offer more precision. 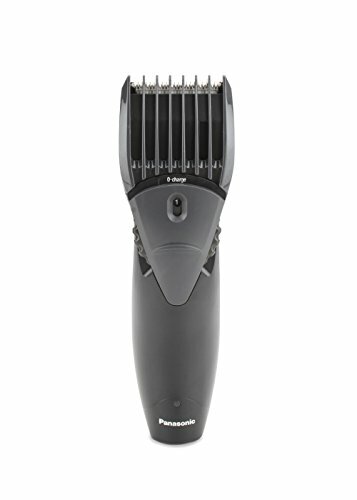 Purpose of use: Do you want a trimmer that’s versatile and can be used for other parts of your body as well or do you want one that’s meant exclusively for your beard? 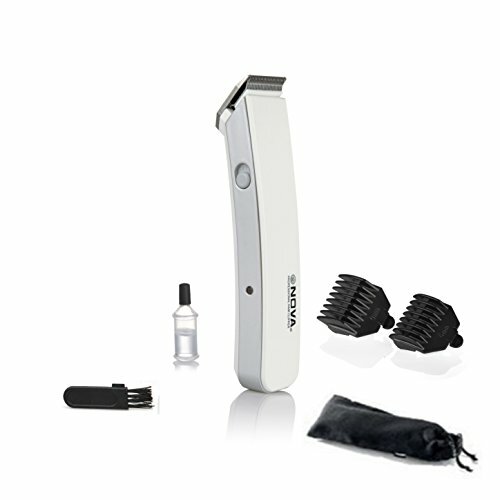 Before purchasing it, you need to decide for what all purposes you will use the trimmer. Wet use or dry: Most trimmers are made for both dry as well as wet use. This means that they can be used both with and without shaving creams, gels and lotions. Travel friendly: In case you travel a lot, make sure to buy a trimmer that’s travel friendly. It should be compact, lightweight, rechargeable and without too many unnecessary attachments. If you frequently travel abroad, make sure to pick one with dual voltage. Waterproof: Go for trimmers that are waterproof and can be used in the shower. Waterproof ones are also easier to clean since you can easily wash them to remove facial hair. Additional accessories: Some beard trimmers come with additional accessories like clipper guards, guiding combs, lubricating oils, travel pouches, cleaning brushes etc. However, if you are not looking for anything too fancy and expensive, then don’t let accessories be a deciding factor! Fancy features: Certain expensive and high-end trimmers come with fancy features like self-sharpening blades, battery indicator, charging indicator, laser guides for precision cutting and in-built vacuum systems to prevent sink blockages. But, if your pockets aren’t too deep, then it’s better not to take them into consideration. So long as you tackle these questions while searching for the ideal beard trimmer, your quest will end in no time at all! 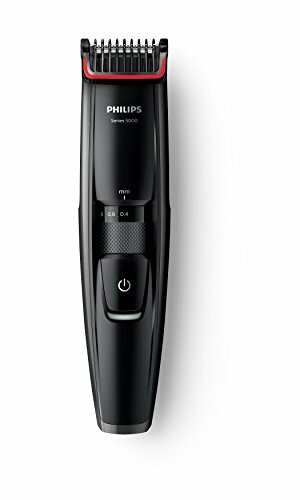 The Philips QT4011-15 advanced trimmer for men offers a diversity of propelled features and is furthermore beneficial to use. The 20 0.5-mm precision settings, finest titanium cutting edges, cordless unit, and a lot of more turns it an amazing choice. 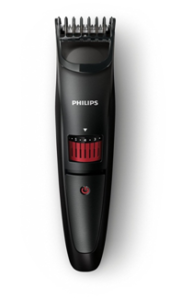 In addition, the trimmers from Philips come with a 2-year guarantee of the product. 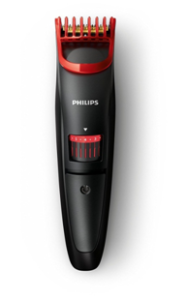 The Philips QT4011-15 Beard Trimmer is presently available online at a reasonable cost. You simply require turning the wheel in the middle to select the length which you favor and get it easily. This trimmer comprises of blades that have been formulated by means of the value stainless steel that are extra sharp. They magnificently trim your hair to provide a flawless look. There are some elements that can be detached and cleaned which turn this trimmer a lot more attractive. One among the significant feature of this trimmer is its ergonomic design. This promises easy working and turns it really simple to carry whilst you are on a journey. 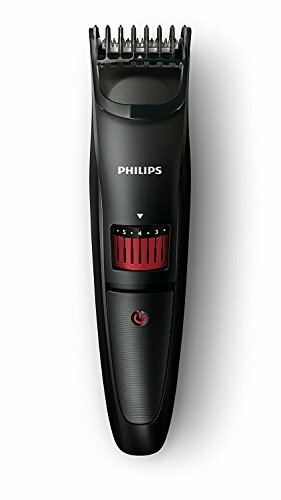 Prepared with an operative innovative Nickel Hydride battery, this hair trimmer is able to certainly recharge and be used for another 40 minutes. Cleaning up this trimmer is really easy and out of trouble. 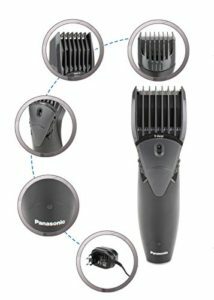 Simple to utilize – get a 3-day shadow look of 1mm or a full facial hair of 10mm, in exact 1mm stages – by essentially turning the wheel to choose and secure in the length settings you need or evacuate the brush and get the zero trim look of 0.5mm. Get a perfect yet defensive trim, over and over. The trimmer’s steel cutting edges softly brush against each other, honing themselves as they trim so they remain additional sharp and viable as on day 1. When you need to look your absolute best, Philips has the correct preparing answer for you. 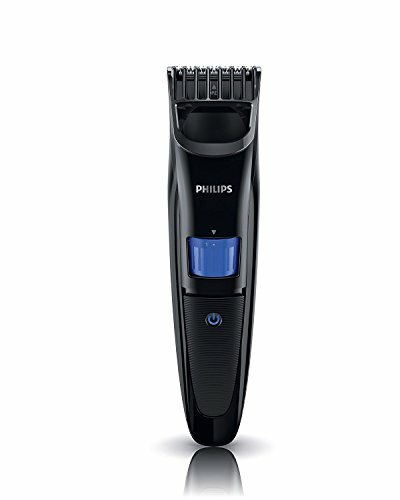 Philips joins innovation with a plan and the trimmers last up to 4 x longer versus customary trimmers. 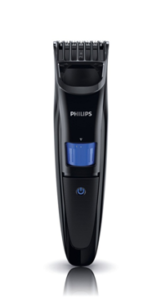 The cordless hair trimmer from Philips delivers a relaxed, even result reliably. The self-sharpening blades are long-lasting and stay as they are from the first use, whilst the adjustable brushes and tips are gentle on your skin expecting troubling. The DuraPower expertise promotes the utilization of power to promise that your trimmer is highly endurable while being compared to an ordinary trimmer. Detach the top and clean it below the tap for easy cleanup. Move the dial to smoothly set the brush to the 12 different settings ranging from 0.2 to 1.8 cm. It has high-class blades for accurate trimming of hair which are detachable to offer simple maintenance. The unit is rechargeable provides nearly 40 minutes of cordless usage. The indicator light glows while you are charging the unit. Acquire a perfect yet protective trim plentiful times. This trimmer’s stainless steel blades delicately brush alongside one another, sharpening themselves while they trim so that they could stay extra sharp and work as they did from the start.